That's the conclusion of a new study that summarizes what we know about stratospheric life so far. 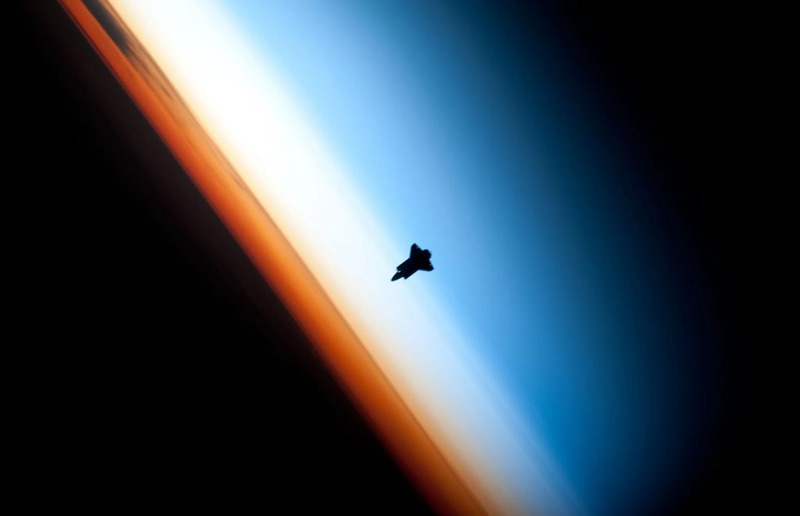 The space shuttle Endeavour hangs against Earth’s atmosphere. The stratosphere is represented by the whitish layer. The presence of microbial life in Earth's stratosphere is not only opening up a new arena in which to study extremophiles but is also increasing the range of possible environments in which we may find life on other planets. You might not realize it when you're staring out a plane window (we fly through the lowest levels of the stratosphere when we're cruising over 35,000 feet), but there are all kinds of micro-organisms out there, according to Shiladitya DasSarma, who is a microbiologist at the University of Maryland School of Medicine and a co-author on the new study, which is published in the journal Current Opinion in Microbiology. "Generally, people don't think of microbes being airborne," he told Astrobiology Magazine. "But there's a saying in microbiology: Everything is everywhere." However, there are "very few studies at the present time" that look at the atmospheric biome. Part of the issue is that there is a low density of cells in a large volume of air. But when you look at it globally, the numbers are significant: 1021 is the current estimate for the number of cells lifted annually into the atmosphere. Still, the space involved is vast: "When you're talking about the entire atmosphere of a planet, how do you do a survey of that?" asked Priya DasSarma, a research scientist also from the University of Maryland and the study's lead author. She suggested it would have to be a community exercise with a long timeline, which would eventually result in what she calls an "Atlas of Stratospheric Microbes." "A program like that would be incredibly productive and interesting and worthwhile," she said, not only for what it could tell us about life on Earth, but also how cells could survive and even adapt to life on other planets. That has implications when it comes to planetary protection (not exposing other planets to terrestrial germs), and to astrobiology more generally. "When we measure the response of terrestrial life in extreme environments on Earth, we can learn more about habitability across the Solar System and where to refine the search for life elsewhere," said David J. Smith, a senior microbiologist in the Space Biosciences Division at NASA's Ames Research Center in California. Smith was not involved in the new study.